DAVIS, Calif., Sept. 18, 2018 /PRNewswire/ — Evolve BioSystems, Inc. announced new study results showing that breastfed babies colonized by Bifidobacterium longum subsp. infantis EVC001 (the probiotic bacteria found in Evivo®) displayed significantly less evidence of mucin degradation compared to control infants who did not receive the beneficial Bifidobacterium. This is significant because the loss of mucin, a key component of the intestinal mucus layer, exposes the gut epithelium to potentially damaging interactions with the gut microbiome. The paper, published in FEBS Open Bio, (read the full article at https://febs.onlinelibrary.wiley.com/doi/full/10.1002/2211-5463.12516) is one of many studies released by Evolve BioSystems in the past year showing the positive impact of activated B. infantis EVC001, on the intestinal health of newborns. The current study found that infants colonized with B. infantis had significantly lower abundance of bacteria that are commonly associated with colonic mucin breakdown, including Bacteroides. According to Dr. Brian Scottoline, M.D., Ph.D., associate professor of pediatrics (neonatology) in the Oregon Health & Science University School of Medicine and OHSU Doernbecher Children’s Hospital, who was not involved in the study or associated with Evolve BioSystems, the importance of the study goes beyond just mucus. Evolve BioSystems, Inc. is a privately-held microbiome company dedicated to developing the next generation of products to establish, restore, and maintain a healthy gut microbiome. 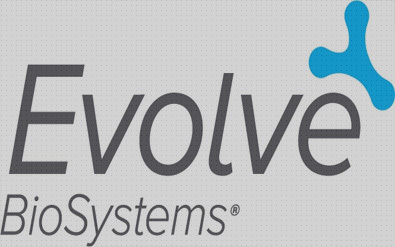 Evolve recently completed a $40M Series C round of funding co-led by the Bill & Melinda Gates Foundation and Horizons Ventures, the venture division of the Li Ka Shing Foundation. Evolve is a spin-out from the Foods for Health Institute (FFHI) at the University of California, Davis and builds on more than a decade of research into understanding the unique partnership of the infant gut microbiome and breast milk components. Having led to the development and commercial launch of products to resolve newborn gut dysbiosis, including Evivo® for infants, Evolve’s discovery platform is now being applied to solving gut dysbiosis throughout the human life cycle as well. In addition to the landmark proof-of-concept trial, Evolve is undertaking further clinical studies to build out its suite of microbiome-based solutions.